Below are a list of questions that we are asked all the time, and we hope you find them useful. If you have a more specific question, please feel free to contact us via our contact page. We allow 6 – 8 months construction time for your new home. This will depend on the size of your new home, your section and council consents. We will give you an agreed completion date before we start, and ensure your new home is fully insured throughout the build. Thistle is a privately owned company, and not a franchise. What are the benefits of this? Franchises pay head office up to $40K per new home. Franchises are at risk if things go wrong with other franchise partners. Franchises are tied to certain subtrades and suppliers. We prefer to choose our own local expert subtrades, who stand by their workmanship. Thistle gets the same deals as franchise companies from suppliers as we are a well established company. Many franchises are on strict timelines and deadlines as they turnover a huge amount of houses. They may not put the same attention and care into their new homes as we do at Thistle. We have a 287 Quality Assurance Checklist… checking every detail in each Thistle Home. What is your workload? How busy are you? We are a large company and can work on a lot of projects at any one time. We always work within our clients timeframes, and can offer an agreed start and completion date for your new home. What range of Thistle plans do you have? We have over 90 beautiful house plans. Our “entry level” plans are more affordable, while still offering great quality. Our “boutique” range is for clients that love to have a home with that extra wow factor. All our plans are super easy to customise to suit the way you live and your budget. Do you only build from your own plans? No we also love building from our clients own designs – all we need is a sketch to get the ball rolling. We can work together with our draughtsman and architects to help you design your dream home. I am having a house designed by an architect. Do you build houses outside of your own designs? Yes, we do build unique homes that have been designed by architects. We are happy to price and build plans provided by your architect. If none of your home designs fit what we are looking for, do you provide a service that helps us to design a house that suits our needs? Absolutely. Our plans are fully flexible, and can be easily altered to suit the needs of you and your family. Alternatively we offer a full design and build service, meaning we can design you a home form scratch to suit your building site, your budget and the needs of your family. Firstly we help you decide on the floorplan, to suit your families needs. How many bedrooms? How many bathrooms? Do your prefer open plan kitchen/living? Then we look at how the house will sit on your section. Will it get good sunlight coming in, privacy, street appeal, and take advantage of any views? What style of house do you like, rooflines, windows sizes, cladding? Kitchen – the hub of the home – we can offer a free consultation with our kitchen designer who will help you bring your dream kitchen to life! Choosing colours is the exciting part; we can help with this too. We help you every step of the way, to make building your dream home easy. How much do Thistle Homes cost? Our Thistle homes are beautifully designed and renowned for their excellent quality. We offer Thistle Entry-level Homes starting at $395,000. Our Boutique Thistle Homes start at $495,000. All our Thistle plans can be easily customised to meet your needs, and your budget! You offer house and land packages. What is the benefits of these? New-build house and land packages offer you everything you need, in one simple package. The home design is chosen to best suit the section e.g. maximise sunlight, views, privacy, and street appeal. A suggested home design is provided for you to customise. If you’re selling a section, it can be easier to sell as part of a house and land package. Do you do additions to existing homes? Yes, we do larger sized additions and renovations. Why are some designs more expensive? When house designs are priced they are calculated on the amount of exterior cladding, interior wall area, window area, structural support, stud height etc. This means that a house design may have the same floor area as another but will be a more expensive build. For example a gable roof style house design requires more exterior cladding on the higher parts of the walls making these more expensive than a traditional hip roof. We can guide you through all of these issues so that your your new home is within your budget. What is included in the price of building a basic home before any extras are added? We give you a list of everything included in your new home called an “Addendum”. We don’t include landscaping, fencing, or curtains, but can point you in the right direction for these too. If I already have a section that is fully serviced, and select one of your designs, are there any other costs? Additional costs are generally associated with the land and council. When lodging a building consent there will be fees involved in this. The other factors such as earthworks will depend on what the soil is like once an engineers report is completed. This may mean additional slab engineering. We can guide you with this, and can deal directly with the engineers. What is a soil report, and why do I need one? The soil report is necessary to determine what ground conditions are like below where your house will be built. This determines whether additional support is required within the footings should substandard soil be encountered. A soil with a low bearing capacity will cost more to build on than one with good soil. Solutions may be underground piles, more concrete in the slab of footings or raft foundations. It is a good idea to get a soil report prior to buying a section, as it can save you money in the long run. Is it possible to start earthworks in the middle of winter? On most sites it is possible to carry out earthworks all year round, although generally it is a bit more difficult during periods of wet weather. Can I make changes once the construction has started? Yes, any non-structural changes are achieved via our change order system to the original contract. For structural and layout changes we would request a council amendment to the original plans on your behalf, and give you a change order for this. What products do you build my new home with? Thistle are renowned for quality, so we only deal with industry leaders and trusted New Zealand brands like Mitre 10, Placemakers, Gib, Hermpac, Pink Batts, Earthwool, Ecoply and many more,ensuring the highest of standards, with great warranties in place. Who will be building my new home?  We use some of the best builders and subtrades in the region; the end result will be your brand new quality dream home, that we are proud to put our name to. Can I visit the building site? Yes, our Project Manger will arrange site visits to let you see the progress on your new home. You can also login to our client portal. Great if you are building from a different region or even country! Why are the benefits of your Thistle client login portal? You can track project running total, updated calendar, shared photo album and easily change order approvals. Keeping yourself informed has never been so easy. Do you guarantee your homes? 10 year cover for the full contact price, for structural and non-structural defects including weather tightness issues, once the building works have been completed. Fully transferable to the new owner if you sell your home. Insured by Lloyds of London (Finance Strength Rating Excellent). How long does the warranty cover structure, building materials, defects etc? Every home we build is automatically covered by the New Zealand Certified Builders Halo Ten Year Guarantee. This covers defects for 10 years. How much deposit should we put down? During the design phase there may be a fee for draughting costs to get your perfect floorplan. If you decide to build with Thistle these costs are 100% credited. Upon signing a NZCB Fixed Price Contract we only require a 5% deposit to get your dream home started. I am just wondering what the payment structure is, what deposit is required and installments as well as the final payment due? We offer a New Zealand Certified Builders Fixed Price Contract with 7 stage payments. The initial deposit of 5% and then progress payments made when certain stages are completed. When the contract has been signed, is this the whole price for the house or are there extras that come on top of this price? The NZCB Fixed Price Contract is the final agreed amount to build your home. This will be based on your house plans, and our Addendum of everything that is included in your new home. How do you keep an eye on the quality of my new home? At Thistle we have a 287 point Quality Assurance checklist. Every step of the way we keep a close eye on the quality of your entire new home. How can I be sure my new home will be completed? We only ever use New Zealand Certified Builders Fixed Price Contracts, along with the New Zealand Certified Builders Ten Year Halo Guarantee. These give you added peace of mind that your new home will be 100% completed! How do I future proof my home? Future proof homes are better to live in today, and they are worth more in the future. Your new Thistle home will be warmer, safer, and healthier. This means a better quality and more comfortable home to live in for you now and into the future. What would I expect at the handover of the house on completion? Upon completion of you new home, and on final payment and conformation that you have your House & Contents insurance is in place, you will receive the keys to your brand new Thistle home! We are always super excited to see you move into your brand new home. Let the house warming celebrations begin!